SAT scores: More diverse group of kids taking the College Board test, but results are slipping. A more diverse pool of kids is taking the SAT than ever before. The College Board, which administers the SAT college entrance exam, has been in the news a lot lately, as more and more higher-education institutions, most recently George Washington University, are adopting “test-optional” admissions policies, engineered to draw a wider pools of applicants. 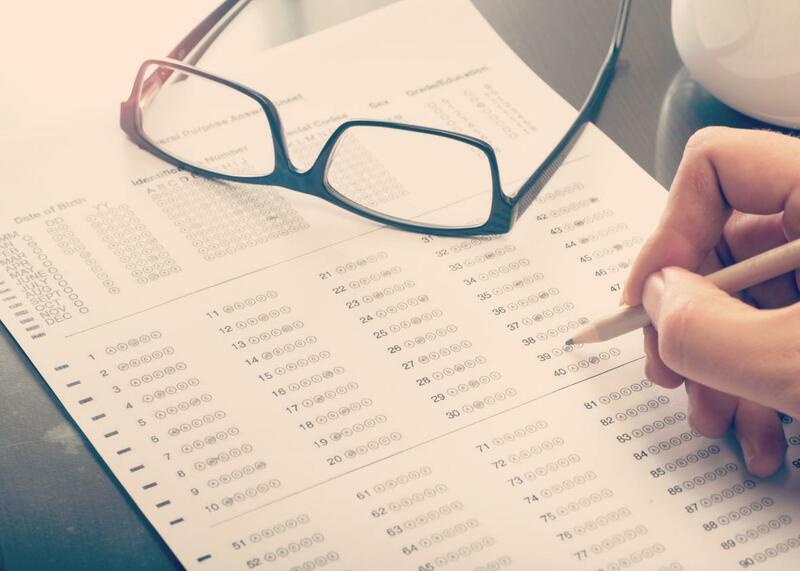 At the same time, 14 states have started requiring all eleventh-graders to take the SAT instead of a more localized Common Core–aligned achievement test. This summer, Connecticut and New Hampshire became the latest states to require the SAT and offer it for free—an effort both to cut back on the number of tests administered, since it will count toward the high-school testing requirement mandated by No Child Left Behind, and to give more students a shot at enrolling in college. And yet. Even as (or perhaps because) a bigger and more diverse group of kids is taking the SAT and its main competitor the ACT than ever before, their scores are not improving. On the contrary: This year’s SAT scores, released this week by the College Board, are the lowest since the test was redesigned a decade ago, while ACT stores have remained mostly flat. Granted, the drop in SAT scores is more of a slope than a cliff: This year the average score was 1490 out of a possible 2400, down from last year’s average of 1497 and 1498 the year before that. Incremental dips, but still, after a downward-trending decade, the math score has hit its lowest point since 1999. The reading score hasn’t been this bad since the College Board started producing annual reports way back in 1972. The number of students considered college-ready—determined by a score of at least 1550—hasn’t budged much for several years, hovering around 42 percent. More distressing is that only 23 percent of Hispanics and 16 percent of black Americans hit the 1550 benchmark, numbers that have also remained stubbornly consistent in recent years. Meanwhile, the percentage of minority students taking the SAT is going up, from 47.5 in 2014 to 48.8 in 2015. What exactly are we to infer from these unspectacular scores? That the achievement gap between rich and poor, and white and minority, students remains ineradicable? Certainly the No Child Left Behind–bequeathed assessment obsession has not caused test scores to skyrocket, and neither has a decade of education reform. Or maybe the reforms have just been more successful at the elementary- than the middle- and high-school-level, which is glaringly the case in Washington, D.C., where I live. It’s too easy just to shrug and say that the population taking the SAT isn’t necessarily a representative sampling of American high-schoolers or that tests aren’t the end-all, be-all of student achievement (though the latter is tempting for a blogger who just tanked her first Slate News Quiz). Granted, even the people behind the SAT have acknowledged that its irrelevance to actual school curriculum has grown in recent years: “It is time to admit the SAT and ACT have become far too disconnected from the work of our high schools,” College Board President David Coleman said last year. And so, for next year’s batch of eleventh-graders, the SAT is in the process of being overhauled to make it more consistent with Common Core standards—no surprise since Coleman is also one of the main architects of these standards—with a shift from not-always-indispensable “SAT words” (remember your legerdemain and expurgate flashcards?) toward more sophisticated reading comprehension. There will be no more penalties for guessing, and instead of the 2400-point scale, with sections on math, critical reading, and writing, the SAT will drop the essay requirement and return to the 1600-point scale of my youth. It remains to be seen whether the new-and-improved SAT will reveal that eleventh-graders across America really can read and do math. As we wait, we need to work on improving more than just the tests.